Makeup. I haven't really been doing anything too different this month with my makeup and I've just been keeping everything quite simple. 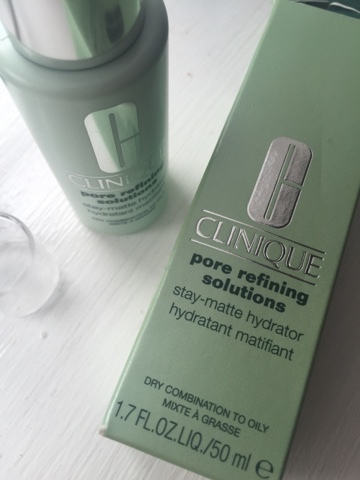 BUT, I have been using this Clinique ... as a primer. I have pretty oily skin and I felt like I was in need of a moisturizer that would be suitable for my skin type. So, I ventured into Boots and over to the trusted Clinique counter and told them what I needed. It was brilliant because they knew exactly what I needed and they explained how this primer could help and also how to apply it. I put this on just before I put on my base makeup and I can definitely see the difference. It leaves my skin looking less oily, especially in places where you don't want oil, and more 'dewy'. Film. Okay, so it's no secret that I am a film-aholic and I watch at least one movie a day so picking a film favourite can be quite tricky! However, last week, I was flicking through Netflix and I came across a film that I remember watching yeaaaars ago and that I loved. 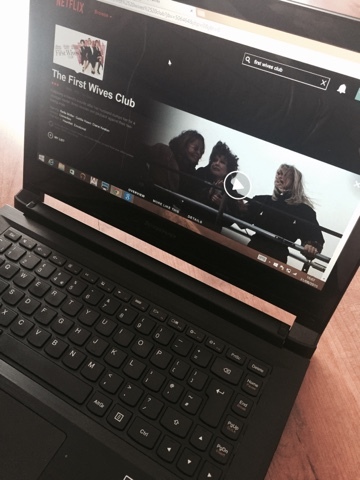 It is called 'The First Wives Club' and stars Goldie Hawn, Diane Keaton and Bette Midler. If the main cast doesn't entice you then who the heck knows what will. This movie is about a group of women who have been friends since college who, after they left college, grew apart and into their own separate lives. One of these women, played by Stockard Channing, commits suicide after her husbands leaves her for another woman. This provokes the other three women, who have each been left by their husbands, to come together and get revenge on their husbands. It sounds like some serious drama on paper, but it is honestly so funny, light-hearted and uplifting! It is probably on the serious side of the fence for about the first six minutes and then... hilarity ensues. Clothing. 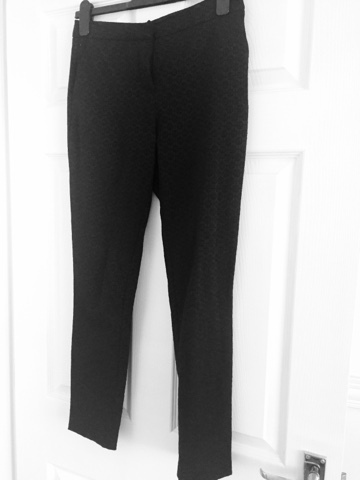 I have not been able to take these skinny, ankle grazer trousers off all month! I recently found them in my wardrobe and realised I hadn't worn them in so long so I've just been wearing them to death! 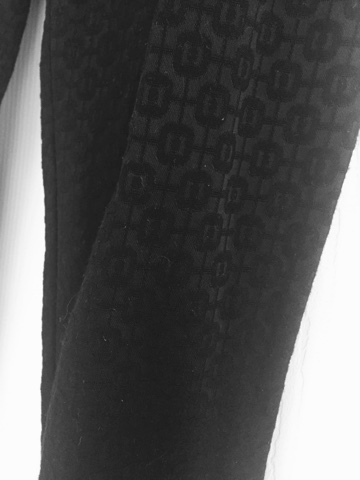 They are pretty plain and simple, apart from the little pattern detail on the black material, but they go with everything and can so easily be dressed up or down. With heels or with sandals. They just seem to work with everything! Book. 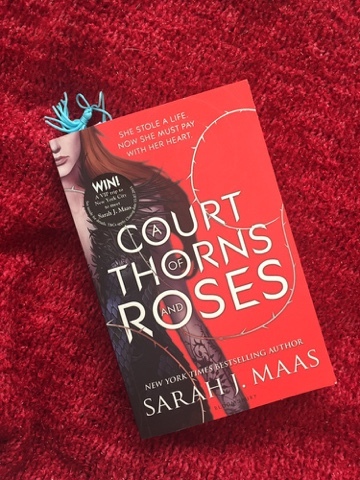 At the beginning of August I finished a book called 'A Court of Thorns and Roses' by Sarah J. Maas. I've mentioned this book previously but I'll just give a teensy recap. It is a retelling of the Beauty and the Beast story. I love the original story so I was a bit wary of it being retold. But, Sarah J. Mass proved that stories can be retold in such a beautiful way with loads of nods to the original, but all the while keeping her story unique, genuine and relatable. I think the relatable element is essential in a fantasy world because if a character lacks this, a reader can't be expected to feel anything towards them or for them. All in all, I am so glad I was prompted to read this book and I can't wait for the next one! Song. I could go for the obvious one here and say Justin Bieber's 'What Do You Mean' because I really have been loving this song even though I'm not necessarily a huge fan of Justin, I still think it's really catchy and happy! But, this song was only released on Saturday so I'm going to mention a song I've been loving for the whole of August. 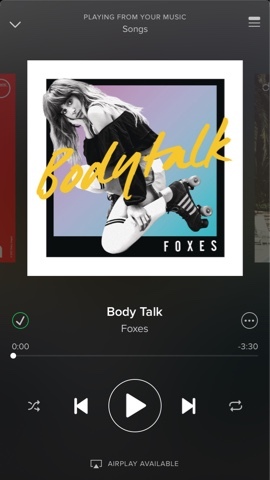 This is a song by Foxes and is called 'Body Talk'. It has a real 80s vibe to it which I absolutely love! It's a feel good song and you will most definitely be singing the hook at some point during your day after listening to it. Thanks for reading and I hope you have a fabulous September!